The State Journal reports that John Beilein is staying in West Virginia and has decided to not take the North Carolina State coaching job. Great news for all Mountaineers! I am flattered by the interest and recognition that the basketball program has received. West Virginia University and the people of West Virginia have been great to me and my family. I will be the basketball coach at West Virginia next season and I look forward to continued success. Ian Best at 3L Epiphany posts a fascinating discussion with U.S. District Judge Richard Kopf (Nebraska) on the use of legal blogs as authoritative secondary sources of information for legal decisions. The email Q/A with Judge Kopf provides a bit of insight (at least three judges perspective) on how legal blog information is being used and how it might be used in the future by courts across the country. Judge Kopf's comments on the federal court CM/ECF system were particularly timely for me as the Southern District of West Virginia moves into the mandatory electronic filing category starting May 1, 2006. Also two other judges (Justice Judith Lanzinger and Judge James S. Gwin) have responded to Mr. Best's email Q/A on blogs and judiciary. I haven't had a chance to read these yet and will plan to post additional comments. My guess is that legal blogs will partially fill the “practicality” gap between the legal academy and the rest of us. I would guess that we would see big and small changes. For example, as video technology and the Net become interwoven, I see little reason to require witnesses to travel long distances to attend trials when they could as easily appear by interactive video. As another example, think about whether court reporters are needed given advances in digital audio recording. Digital audio recordings of trials can be provided over the Net, perhaps even in real time. Vendors located at any place in the world could access the digital audio over the Net and bid to provide transcriptions, presumably at very low prices. Such a system would obviate the necessity and exorbitant cost of employing a court reporter. I tend to read law reviews in spurts. I think I am like most judges, I read them when I need them and can find something useful in them (which is not often). I don’t have favorites. Indeed, I find many of the “elite” reviews laughably beside the point. The advantages are obvious: speed, availability, and topicality. I don’t see real disadvantages. Incidentally, you ought to convince Westlaw and Lexis/Nexis to buy your blog list. They should think about listing blogs like they list law reviews. Then convince them to develop a really good search engine for blogs. The legal blogger can sponsor ideas on current issues that can be reviewed immediately through the input of readers. The best serious blogs define a particular field of interest and inquiry and stay within that scope. Assuming that legal blogs are now in their infancy, and that they will grow to have a long and fruitful life, I think that lawyers who ignore them altogether will do so at their peril. The willingness to learn and relearn technology skills will be essential for mastery of new tech tools. The future will belong to the flexible. I don't have the time or inclination to slog through many law review articles in my spare time. Because of publishing realities, law reviews may appear hide-bound while legal blogs operate with free-wheeling immediacy. On the other hand, without peer review, blogs can publish anything and suppress anything –- so caveat emptor. I believe that the serious blogs do have a time advantage in raising issues, networking primary sources, and serving as a clearinghouse for additional discussion. Law reviews have the luxury of handling an issue in depth; however the time lag can be a negative when fast-moving matters are being considered. Law reviews are permanent; one does not have to worry about a broken link or missing achival material. Nevertheless, even if (and maybe because) they are ephemeral, legal blogs are fun to read. Most cut to the chase and many have a sense of humor -- a plus in my book. IMPORTANT NOTICE: Effective May 1, 2006, Electronic Case Filing (ECF) will become mandatory in the United States District Court for the Southern District of West Virginia. Members of the bar who are not registered ECF Users are strongly encouraged not to delay in registering for a training class as those classes are filling up quickly. Click here for more information. According to the West Virginia Health Care Authority's newsletter the board issued an order dated April 12, 2006, delcaring a moratorium upon the processing of applications for CyberKnife and Gamma Knife services which shall continue until the development of State Health Plan Standards for evaluating these applications, or one hundred eighty days from the declaration of this moratorium, whichever is less. UPDATE: On July 19 2006 the WVHCA issued an Order lifting the moratorium issued on June 28, 2006 imposing a moratorium on the development, acquisition or other establishment of Cyber Knife and Gamma Knife services pursuant to W.Va. Code 16-2D-5(k). The Order removes the moratorium effective June 28, 2006. Note: The dates don't coincide with the original date of the morotorium issued by the WVHCA - this might be a misprint in the WVHCA newsletter. Today the Office of Inspector General, United States Department of Health and Human Services, issued an Open Letter to Health Care Providers discussing the Inspector General's perspectives on compliance, the resolution of health care fraud cases, issuance of corporate integrty agreements (CIAs), and the OIG's Provider Self-Disclosure Protocol (SDP). In addition, the letter announces an initiative promoting the use of the SDP to resolve civil monetary penalty (CMP) liability under the physician self-referral (Stark) and anti-kickback statutes for financial arrangements between hospitals and physicians. The range of CMP damages available goes from "number and dollar value of improper claims" under Stark to the "number and dollar value of improper payments or remuneration" under anti-kickback. The letter seems to indicate that the OIG will "settle the SDP matters for an amount near the lower end of the continum, i.e., a multiplier of the value of the financial benefit conferred by the hospital upon the physician(s)." Phil Kabler's Statehouse Beat in the Charleston Gazette mentioned a new West Virginia law blog -- Harvey Peyton of the Peyton Law Firm is blogging at Harvey's Blog. Based on the archive posts it looks like Harvey started up in early April and has already struck a chord with his second post "fun at the ballpark." A warm welcome to this new West Virginia legal blawger (bobber). I enjoy listening to Mr. Peyton's local legal (as opposed to illegal) radio appearances where he discusses legal topics and answers legal questions. He provides solid, balanced legal advice and information and I am sure that the content on his blog will be an enjoyable read. The server room at Law Firm IT reports that the West Virginia Supreme Court of Appeals has picked LexisNexis File and Serve to implement electronic filing of appeals in West Virginia. The system is scheduled to go live this summer (2006). LexisNexis, a leading provider of information and services solutions, File & Serve will provide the West Virginia Supreme Court with electronic filing of appeals, automated docketing and real-time online access to filed documents. File & Serve also provides direct links to LexisNexis legal citations, giving the court a more convenient approach for researching cases. Just saw over at Christina's Consideration an announcement that Dr. David Brailer is stepping down from his position as National Coordinator of Health and Information Technology. At this time I don't see an official press release on the Office of National Coordinator of Health Information Technology (ONC) website. I agree with Christina's comments that Dr. Brailer has done a good job of moving the nation and the health care industry in the direction of creating a uniform and interoperable health information system. My hope is that Dr. Brailer, a native of West Virginia, comes back to assist our state as we move forward on various statewide health information technology projects and initiatives. For those regularly dealing with the Privacy and Security Rules under HIPAA I would suggest downloading a copy of the updated Unofficial Version of the HIPAA Administrative Simplification Regulations issued by the DHHS Office for Civil Rights. The comprehensive regulations are now amended through February 16, 2006, including the final HIPAA Administrative Simplification Enforcement Rule that was published at 71 Federal Register 8389 (February 16, 2006), as well as for the first time the HIPAA Administrative Simplification rules at 45 CFR Part 162 that are administered by the Centers for Medicare & Medicaid Services. I've incorporated a new FeedBurner service into Health Care Law Blog. It's called FeedBurner Email. Look for the box in the right hand column following archive post section which says "Enter your email address:"
Enter your email address in the box, push subscribe and it will then take you through a few steps to verify your email address. Once you verify your email address you will then start receiving copies of any new posts to my blog directly to your email inbox. FeedBurner incorporated this feature for those who still like using their email inbox to receive information rather than using an RSS reader and RSS feeds to monitor various news and blog services. HIPAA Insurance: Do you need it? While handling HIPAA related complaints over the last couple of years I've come across a few clients who have had insurance coverage for such matters. If you are interested in learing more about potential insurance coverage available for HIPAA related complaints -- check out the AON Healthcare Alliance article on HIPAA Insurance Products. Thanks to the HIPAA Blog and Alan Goldberg for the reference. Quick note that today, April 20, 2006, is the deadline for compliance by small health plans to comply with the Security Rule under the Health Insurance Portability and Accountability Act of 1996 (HIPAA). Employers who sponsor a group health plan and creates or maintains protected health information electronically must comply with the Security Rule under HIPAA. A group health plan is defined under the HIPAA regulations and includes standard medical, dental, flexible spending accounts and other types of employee benefit plans. Large group health plans were required to comply on April 20, 2005, and small group health plans were given an extra year for compliance. Although tax day has passed -- don't forget to check out Blawg Review #53 hosted by Professor James Maule at MauledAgain. Professor Maule offers blog "commentary on tax law, legal education, the First Amendment, religion, and law generally, with sporadic attempts to connect all of this to genealogy, theology, music, model trains, and chocolate chip cookies." I can't imagine piggybacking tax day and Blawg Review. I'm wondering whether Ed. of Blawg Review allows the filing of an extension for Blawg Review? Had I thought about it I might have asked during the late hours of Blawg Review #44. Now I'm looking forward to Tax Freedom Day on April 26. Great Job Prof. Maule! How does your daily digital lifestyle stack up against Mr. Gate's lifestyle? 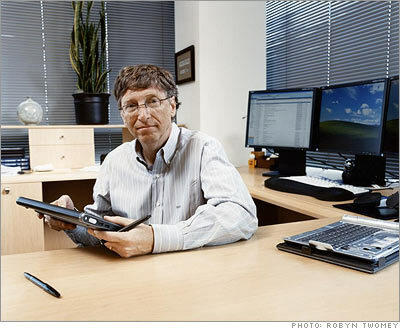 An interesting glimpse at how Bill uses technology during his day. Update: The Wired GC (General Counsel) has an interesting followup post on this article and the new ADT (attention deficit trait) brought on by attending to too much technology input and output. Shahaid Shah over at The Healthcare IT Guy makes a great argument for increasing the use of RSS technology for health alerts and data sharing of health information. Be sure to check out his article in HealthIT World News, Start Using RSS for Health/Medical Alerts and Data Sharing. As we move toward the goal of interoperability of health care information RSS should play a part. Using RSS push technology to get needed information quickly and efficiently to the health care provider or other person who has a need to know the information. I think with a little creativity, building in RSS publishers inside our medical devices and health-IT systems such as EMRs and HIS would go a long way towards helping create more interoperable systems. Of course, content and messaging standards such as HL7 would not be replaced but would become the de facto standard of the payloads in the messages that RSS feeds could publish. Tip to Matthew Holt at The Health Care Blog for pointing out the article. Congrats: Blawg Review Is One! Blawg Review is one! 52 weeks of great law content. A year of great posts from legal bloggers from around the country. Thanks to everyone who took the time and effort to host. Be sure to check out the back issues. "Back issues—a year's worth. Every issue of Blawg Review is made up of outstanding law blog posts selected by a new host each week and presented in an entertaining overview for everyone interested in law. Blawg Review is a peer-reviewed blog carnival. Unlike most other blog carnivals, which rely only on submissions of bloggers' posts, Blawg Review is the host's presentation of some of the best law-related posts each week from various sources, including those recommended by readers." Christina Theilst of Christina's Considerations links to an interesting article, Backing up EHRs, appearing online in Advance for Health Information Professionals. The article recognizes the importance for hospitals to maintain the continuity fo the electronic health records. As we move down the continuum of conversion from paper to entirely electronic based records the need for maintaining continuity of the legal record becomes more important.
. . . But some hospital executives will find that when an attorney’s release of information (ROI) form lands on their desk, their EMR information will be lacking. Whether the Joint Commission comes calling, the Centers for Medicare and Medicaid Services (CMS) is performing an audit of claims, or payers and the legal community are requesting a hospital to pull records for a specific case, provider organizations should be able to quickly access complete medical records, not just portions of the record, and send them out electronically with little or no administrative burden. . .
"One of my former 'hats' was that of risk manager. Once you have been one, you can never seem to really take off that 'hat', so here is a link to an article in Advance for Health Information Professionals that addresses hospital's maintaining a complete legal record of a stored EMR that compiles defined information as fulfilling legal requirements." Christina's blog covers a variety of topics of interested to those in the health care industry, including coving the growth and development of regional health information organizations (RHIOs), health information technology and other cutting edge issues for hosptals and health providers. If you haven't already -- be sure to add her blog to your RSS reader. Quick announcement to all local Charleston (and West Virginia) blogger readers that CAB 4.0 (Charleston Area Bloggers) is quickly approaching. Version 4.0 will be held on Friday, April 7 @ 12 noon at Rick Lee's Studio on the West Side. Since this 4th monthly event is our first non-morning meeting -- there are no excuses for those CABWCan'tGUITM. I agree with Rick that the previous meetings have been a lot fun! BusinessWeek Online has a good commentary article, Dazed and Confused: Data Law Disarray, discussing the current state and practical realities of dealing with privacy and security breaches by businesses. The article concludes by calling for "uniform federal privacy and data security legislation to create a baseline of privacy protection for consumers and to provide businesses and organizations with a uniform set of standards on which to build their protection practices." I've assisted clients with weaving though the web of state and federal privacy and data breach reporting requirements and can attest to the "stop light analogy" used in the article.
. . . What now? Who needs to be told? Customers? Government regulators? You call in the lawyers, but they tell you they will need a day or more to figure out what the reporting obligations are. The lawyers explain that there are more than 20 federal, state, and local laws and regulations that govern the reporting obligations, and some are quite different from others. New laws are being passed every month. The lawyers say the road ahead is perilous. Then they make the traffic signal analogy to help you understand. They tell you to imagine you are driving down the street. At the approaching intersection, instead of just one traffic signal, there are three lights, each with a different instruction. Should you stop at the red light? Slow down for the yellow light? Proceed under the green light? Needless to say, at this strange intersection, chaos reigns. There are confused drivers, anxious passengers, and angry cops. Here is an accident waiting to happen. PATCHWORK QUILT. The lawyers' point? On the information superhighway, when it comes to the rules on privacy and data security, businesses are like the confused motorist at the intersection of mixed signals. In the absence of a uniform federal privacy law, well-intentioned lawmakers and regulators from around the country have, in an episodic manner, created rules to address the growing misuse of personal information and the loss or theft of sensitive data files. The result is a hodgepodge of overlapping, conflicting, and occasionally incomprehensible laws and regulations. . . While preparing a post summarizing the 2006 West Virginia health care related legislation, I noticed that the West Virginia Legislature website has added RSS feed features. It's great to see the staff at the Legislature add this feature. A quick Google search turned up the following summary by the National Conference of State Legislatures of state Legislatures using blog and RSS feed technology. It appears that all of the following are under a single RSS feed (http://www.legis.state.wv.us/RSS/rss.xml). If you don't know much about RSS, its benefits and how to use it -- start by going to the West Virginia Legislature's summary on RSS. UPDATE: Brian Peterson comments on my find of the new Legislature RSS feed feature and makes recommendations for additional feeds. For example, feeds involving particular bills or bills by suject area. Also, I suggest in his comments that they include feeds based on a particular bill sponsors. Tricia Herzfeld, an attorney in our firm, prepared the following summary of health care and medical related legislation passing the Senate and the House of Delegates in the 2006 Session and awaiting Governor Manchin's signature. Included are links to the final "enrolled" versions of the bills. If applicable, I have included the date the Governor approved the bill in ( ). Topic: Creating Health Information Network. Summary: The purpose of the West Virginia Health Information Network is to create a databank of health information for public and private use of health care information. The network would be under the oversight of the Health Care Authority. The Network is designed to alert providers of drug interactions and allergies, provide preventative medicine alerts, allow electronic access to results of laboratory results, transfer medical information among providers (with patient consent), track patient history and prescriptions, and track public health statistics, among many other envisioned uses. Topic: Continuing the Board of Dental Examiners. Summary: The West Virginia Board of Dental Examiners would be continued until July 1, 2008. Topic: Continuing the Board of Osteopathy. Summary: The West Virginia Board Osteopathy would be continued until July 1, 2016. Summary: This Bill reenacts previous legislation and amends it to extend many procedural report filing deadlines from ten to thirty days. This Bill also amends the previous legislation by requiring that health care corporations, organizations and providers be examined once every five years, as opposed to the current law which requires examination every year. Topic: Removing Insurance Commissioner as health maintenance organizations’ attorney for service of process purposes. Summary: The previously enacted legislation relating to the process by which one must obtain a certificate of authority to operate a health care facility, was renewed and amended to remove the Insurance Commissioner for service of process purposes. Topic: Modifying Qualifications for License to Practice Medicine. Summary: This Bill reenacts previous legislation regarding the qualifications for a license to practice medicine within the state. This Bill also amends the previous legislation by expanding the criteria by which an applicant for licensure may extend the seven year period to obtain a passing score on the medical examination an additional three years and amends it to include participating in an accredited fellowship training. Previously the only way to get the three year extension was if a student was enrolled in a dual MD-PhD program. Summary: This Bill clarifies that the Prosecuting Attorneys Association can use money from the Forensic Medical Examination Fund to pay to properly train nurses to examine victims of sexual assault. Summary: This Bill reenacts previous legislation relating to the organization and governance of the West Virginia Physician’s Mutual Company. It also removes term limits for its Board of Directors. Topic: Relating to Physicians’ Mutual Insurance Company. Summary: This Bill reenacts the previous legislation regarding specific coverage guidelines for Physicians’ Mutual Insurance Company. This Bill also amends the previous legislation to clarify the ability of the Mutual to decline or refuse to renew insurance policies transferred to it from the Board of Risk and Insurance Management when those policies expire. Other amendments include various insurance coverage criteria as well as establishing minimum standards and requirements for physician self-insurance arrangements to qualify as medical professional liability insurance for purposes of the Medical Professional Liability Act. Topic: The Diabetes Care Plan Act. Summary: This Bill requires the establishment of individual diabetes care plans for students with diabetes by each county’s boards of education. The State Board of Education would also be responsible for adopting guidelines for the development and implementation of the individual diabetes plans. Topic: Relating to a pilot program authorizing participating health care clinics and private medical practitioners to provide primary and preventative health services for a prepaid fee. Summary: This Bill establishes a low cost insurance health plan for uninsured workers. It also establishes, for rural areas, primary care in a prepaid, clinic based setting. 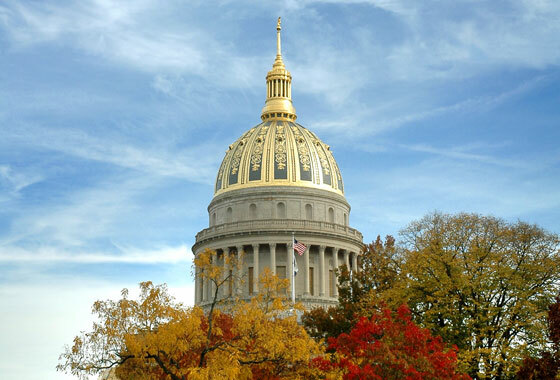 This Bill also expands coverage for uninsured children under the Child Health Insurance Program (CHIPS) and establishes an Interagency Health Council to study and create a plan to offer universal health care coverage to all West Virginians. It also creates a reporting requirement for the Department of Health and Human Services to report on the costs shifted to private insurers as a result of Medicaid’s regular underpayment for medical services. Topic: Continuing the Rural Health Advisory panel. Topic: Allowing an osteopathic physician and surgeon to supervise up to three physician assistants generally. Summary: This Bill reenacts previous legislation and amends it to allow osteopathic physicians and surgeons to generally supervise three (previously two) physician assistants. Topic: Continuing the pilot program offered through a Community Access Program to coordinate health care provider reimbursements indefinitely as determined by the insurance commissioner. Summary: This Bill continues the pilot program offered through a Community Access program until July 1, 2007. Topic: Creating a commission to complete a comprehensive study of the state’s behavioral health system. Summary: This Bill mandates a study of West Virginia’s behavioral health system, by creating a commission comprised of public and private citizens, and an advisory board to establish the parameters of the study and to give periodic reports of its progress and findings to the government. Topic: Continuing the Board of Registered Professional Nurses rule relating to dialysis technicians. Summary: This Bill reenacts the previous legislation and continues the Board of Registered Professional Nurses’ emergency rule relating regarding “Dialysis Technicians” until July 1, 2007. Topic: Arthritis Prevention Education Act. Summary: This Bill establishes an arthritis prevention and education treatment program, requires the Bureau of Public Health to establish strategies to promote and maintain such as program, and creates a council on arthritis. Topic: Expert opinions of licensed psychologists in the treatment and evaluation of children and taking testimony of child witnesses. Summary: This Bill reenacts and amends the previous legislation dealing with the taking of testimony of a child witness by closed circuit television. It requires that a psychiatrist, licensed psychologist with at least five years of significant clinical experience treating children, or a licensed clinical social worker with five years of significant clinical experience treating children, act as a “friend of the court” in determining whether a child is emotionally able to testify in a court proceeding via closed circuit television.